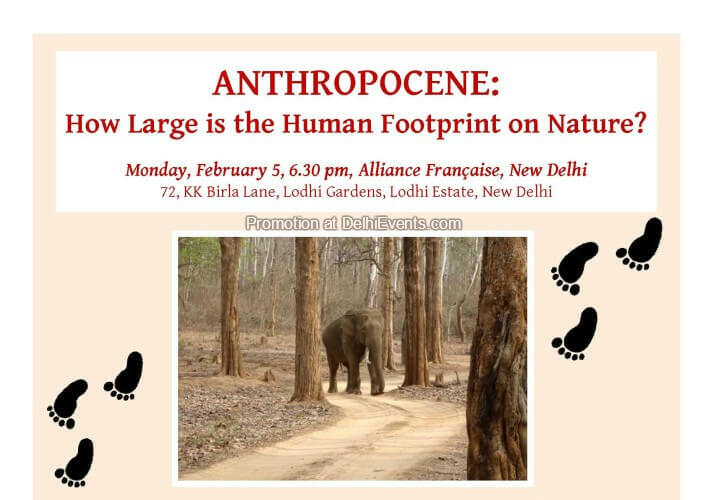 Event Description : “Anthropocene : How large is the Human Footprint on Nature?" panel discussion. The concept of Anthropocene is becoming more and more popular in the scientific world but also - and perhaps more so – among the general public and the media. It is about emphasizing the weight of the human footprint on the planet in the contemporary era. Humans have acquired a transformational power on Earth comparable to the tectonic processes, asteroid falls and other natural factors that until now were the only forces able to move the earth from one geological era to another. Our development model has become a telluric force. The concept of Anthropocene is nevertheless criticized, so the debate that we propose -- scientific but very accessible to the public at large – intends to take a step back from a concept that it is unwise to accept without taking some distance, both for political reasons (is the whole of humanity responsible, or only certain countries, or only certain social classes? ), but also for philosophical and cultural reasons. Shouldn't the old opposition between nature and culture forged by Western "modernity" be revised, which would put the reality of the Anthropocene into perspective? Does our scientific knowledge about the long millennial and geological time-scales not encourage us to think more in terms of changes, brutal sometimes certainly, but recurring, that would relativize the specificity of the Anthropocene?